PDD files (Adobe Photo Deluxe) can be easily converted to TIFF if you use Total Image Converter. The benefits include: fast conversion, lots of options to apply during conversion (resize, crop, rotate, watermark, TIFF compression and photometric interpretation), easy-to-use interface. In the wizard you make all the settings like destination path, transform options. They allow you to crop, resize or rotate your PDD files in few clicks during one conversion to TIFF. 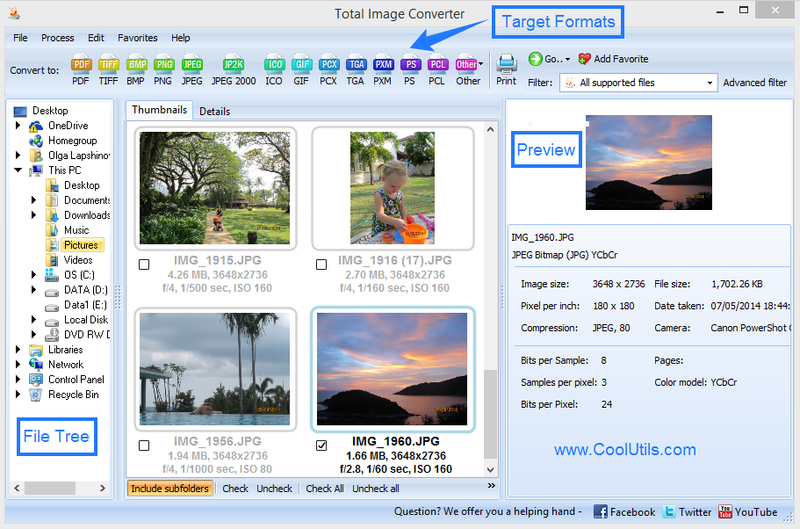 Total Image Converter will not only convert PDD to TIFF but also apply watermarks if you like. That can be your logo or any image you want to be on your TIFF file. You can also add frames to your images or write some comment. Note that you select the the position of watermark (in the middle, in the right/left uppeer coner or right/left lower corner), the font and the color. After all the setting are done Total Image Converter starts the conversion. You can convert one PDD file or 200+ of them. 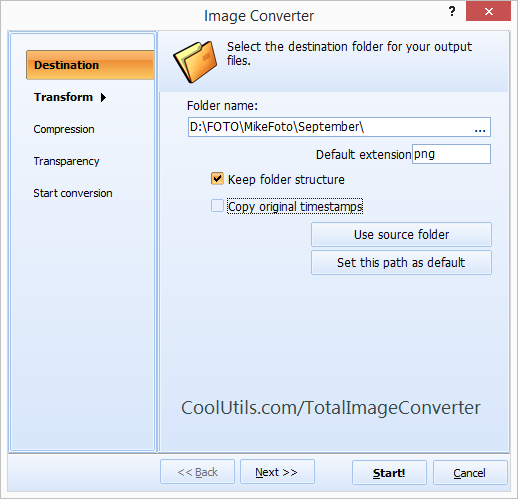 Total Image Converter has unique Keep Folder Structure option: if you set to convert a few folders with PDD images, in the output you will get a few folders with the same names with TIFF images.